ONLY LICENSED FFL DEALERS MAY APPLY. More information may be obtained by contacting the Sheriff's Office at 662-773-5881. THE WINSTON COUNTY BOARD OF SUPERVISORS RESERVES THE RIGHT TO WAIVE ANY FORMALITIES WHEN DETERMINING THE HIGHEST OR BEST BID. THE HIGHEST BIDDER WILL BE RESPONSIBLE FOR MOVING INVENTORY AT THEIR OWN EXPENSE WITHIN FIVE DAYS OF THE NOTICE OF BID AWARD. 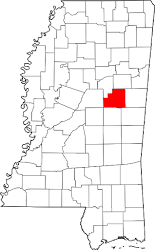 WINSTON COUNTY RESERVES THE RIGHT TO DENY ANY OR ALL BIDS PLACED.